5 favorite prenatal yoga poses. Yoga has been my means to counterbalancing my busy and active lifestyle since 2008. Not only has it helped me recover from running injuries over the past six years since I ran my first marathon, but it has also nourished my overall mental and spiritual well-being. Amazingly, my yoga practice has assumed a deeper role during my pregnancy–it is during yoga that I feel the most connected to my husband and my unborn daughter. With each inhale, I give life to our baby. With each exhale, I let go of daily stresses that sometimes seem to have become magnified during my pregnancy. I am fully aware of each of our baby’s movements during yoga, that which I’m completely unaware of during my other active pursuits. Reclining Bound Angle Pose (Supta Baddha Konasana) – We, mommies-to-be that are in our first and second trimesters, typically start class in supta baddha konasana at my studio, whereas third trimester moms taking side-lying pose. We each use two blocks and a bolster to help prop up our upper bodies, and often wrap a rolled up blanket around our feet (see photo below). I’ve found that starting class in this pose has been the best way to help clear my thoughts, and focus on the connection between our baby and me. I feel closest to our baby in the pose, as I can feel all of her hiccups, kicks and slight movements. Squat (Malasana) – Malasana helps to increase mobility in the hips, stretches and soothes the back and strengthens the abdomen–all of these benefits have a positive impact on labor and delivery. Additionally, women are often advised to squat during childbirth. I, personally, have always loved this posture during class, though I often transitioned into Crow Pose (Bakasana) following it pre-pregnancy, whereas I am happy just to squat these days. I magine I will spend a lot of time laboring in it. Half Four-Limbed Staff Pose (Half Chaturanga Dandasana) – Half Chaturanga is the only pose that makes me feel like I’m strengthening upper back and triceps, as most of prenatal yoga is focused on either stretching or pain management practice for childbirth. I love that the posture often makes my upper body sore these days, a signal that I’m really working my muscles. 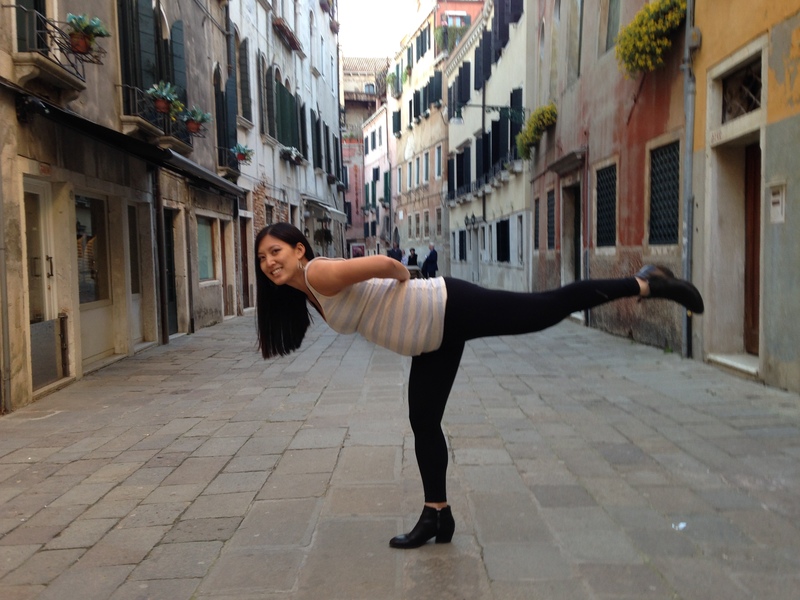 Pigeon Pose (Eka Pada Rajakapotasana) – Pigeon Pose has always been one of my favorite yoga poses as a runner. It helps to lengthen the hip flexors, increase the external range of motion of the femurs in the hip sockets, and stretch the iliotibial (IT) band. For runners, tight hip flexors prevent full rear extension of the leg. To compensate, stiff runners achieve extension by arching their back and tilting their pelvis forward; this shifts the foot strike forward, in front of the runner’s center of mass, and creates an inefficient braking force, as well as a heavy foot strike that takes its toll on ankle, hip, and knee joints, explains USA Triathlon performance adviser Bobby McGee. I love breathing into pigeon pose, inhaling to lengthen and exhaling to deepen the stretch, while feeling our baby’s movements in my belly below me. Child’s Pose (Balasana) – Child’s Pose calms the brain, helps relieve stress and fatigue, and alleviates back and neck pain with the head is supported, often with a block. I love practicing kegels in Child’s Pose during class. 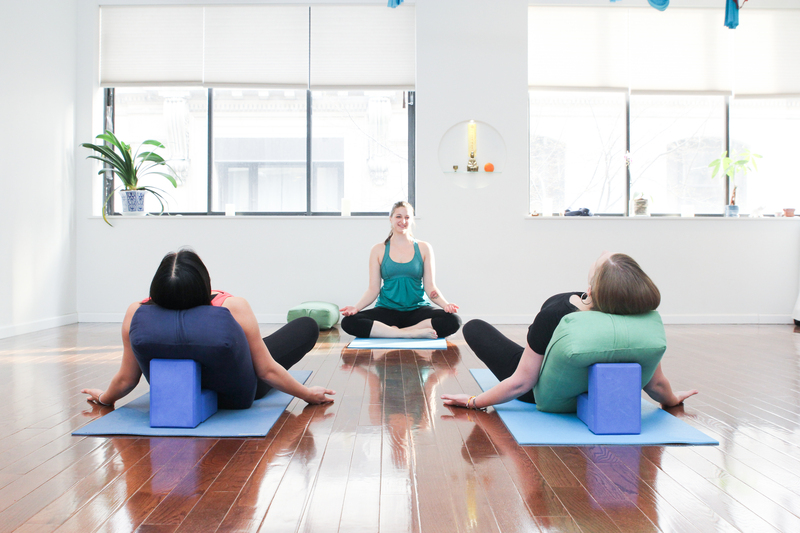 Not only does it feel especially intimate to practice kegels in this posture, as opposed to doing so sitting up, but I am thrilled to feel our baby kick during the practice. It brings a smile to my face every time. Categories: Athlete, Pregnancy | Tags: Half Chaturanga Dandasana, Labor & Delivery, Malasana, Pigeon Pose, Pregnancy, Prenatal Yoga, Running, Second Trimester, Squat, Supta Baddha Konasana, Yoga | Permalink. Heartburn and knee pains and calf cramps. Oh my! 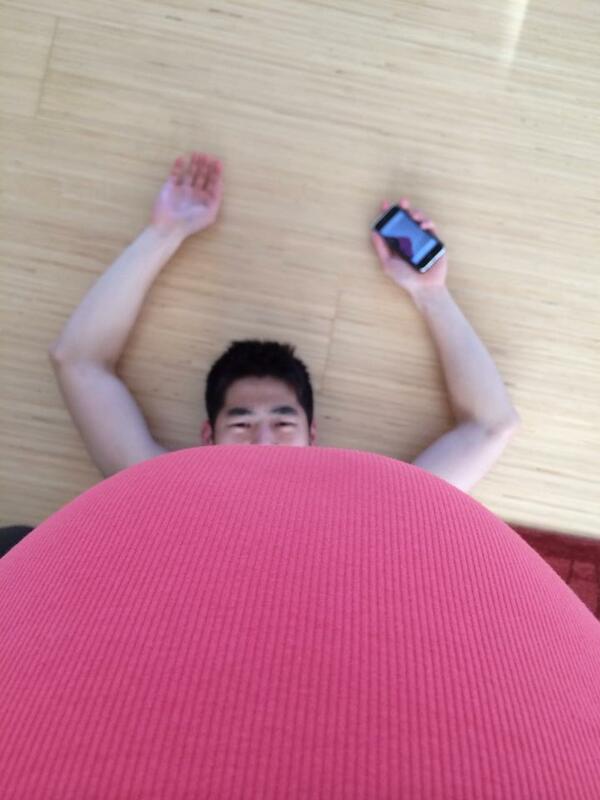 It is true what people say–my second trimester has been an wonderful time of my pregnancy so far! The fog of the fatigue from the first trimester dissipated in Week 16, I finally adjusted my fuel and water intake for my long runs so as to prevent the migraines I was suffering from early on in the pregnancy, and I’ve been really enjoying finally feeling our baby daughter kick in my belly throughout the day (as has my husband whose face lit up when she kicked his cheek after he laid his head gently on my belly one evening). Although I have genuinely enjoyed the last few weeks of the pregnancy, I have had to deal with a few new pregnancy pains during the second trimester. I’ve noted them, and how I’ve tried to deal with them too. Heartburn. The first time I experienced heartburn was on an easy 5-mile run a month ago. I had had a green juice comprised of kale, apples, lemon and ginger and a bit of cheese an hour prior to the run, as fuel for my run home from work. Boy was I unpleasantly surprised when the cheese and acids from the juice immediately started coming back up after only less than a mile into my run! My doula Caprice Abowitt explained to me that relaxin is a hormone that relaxes the muscles, joints and ligaments in the pregnant body to prepare the body for childbirth, but also softens the muscles of the esophagus and the valve at the top of the stomach, causing heartburn. I try not to eat solids or drink anything acidic up to two hours before a run, whether short or long, opting to drink coconut water for short runs and fueling with water and gels for long runs instead. However, my heartburn will likely only get worse over the coming months. Some pregnant women have suggested taking Tums to help with the heartburn, which I will try if my food avoidance tactic pre-runs doesn’t work. Knee pains. The pains in my left knee from an injury that had cut my marathon season short early last fall and forced me to cancel my entries to the New Hampshire and New York City Marathons started to bother me again a few weeks ago, sadly. I presume that the pains had come back as I gained more weight. The increase in weight meant greater impact on my joints. I’ve been able to lessen the knee pain through daily stretching and foam rolling, however, exercises I learned from physical therapy sessions I had attended for three months last year with Finish Line Physical Therapy, whom I highly recommend. The recurrence of knee pains served as a reminder not to stop stretching. Calf cramps. A non-running induced pain, calf cramps have shaken me from my slumber twice in the past three weeks followed by loud yelps, waking up my husband too, so far. As BabyCenter notes: “No one really knows why pregnant women get more leg cramps. It’s possible that your leg muscles are tired from carrying around all of your extra weight. Or they may be aggravated by the pressure your expanding uterus puts on the blood vessels that return blood from your legs to your heart and the nerves that lead from your trunk to your legs.” Apparently, it’s also an issue that may worsen over the course of the pregnancy. The only proven remedy seems to be to stretch your calf muscle when this occurs by straightening your leg, heel first, and gently flexing your toes. 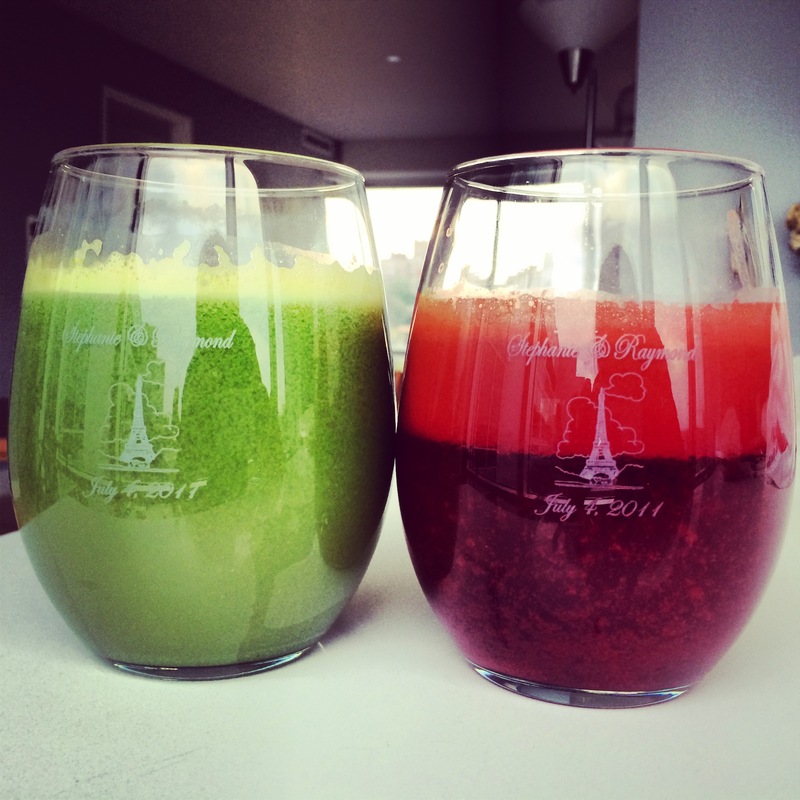 Freshly made green juice, comprised of kale, apples, lemon and ginger, and red juice, comprised of beets, carrots, apples, lemon and ginger, both in our wedding souvenirs. No more juice pre-run! On a positive note, my second trimester pregnancy pains haven’t affected my marathon training, thankfully. This past Sunday, I ran the More Magazine / Fitness Magazine Women’s Half Marathon in Central Park. Although it’s always one of my favorite local races, this experience was my favorite half marathon one ever!! Not only was it amazing to see and run with so many female friends before, after and especially during the race, I was excited to run it for two with my favorite female in my life (other than my mom), my daughter. How is it possible to love someone so much whom you’ve never even met yet? It just is. 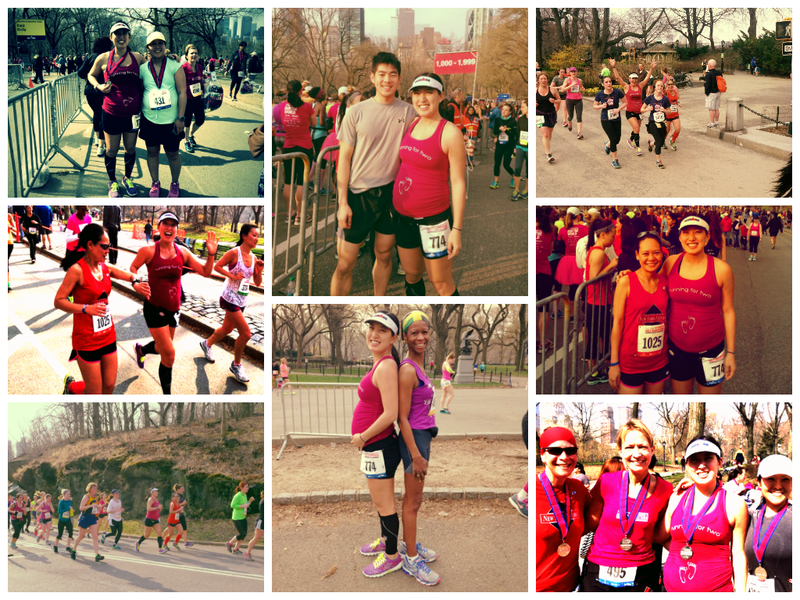 Categories: Athlete, Pregnancy | Tags: Baby Girl, Calf Cramps, Central Park, Daughter, Doula, Half Marathons, Heartburn, Knee Pains, Pregnancy, Running, Second Trimester | Permalink. Nostalgia: A look back at my progress as a runner. We, endurance athletes, rarely mull over all of our previous race times. We also usually do not correlate races with events in our lives. We often only remember our personal records, or PRs, for our favorite race distances, and, once we beat a PR, that last PR time is forgotten, with a new time ingrained in our minds as the one to beat. For example, I can tell you that I ran my PR marathon at the 2011 Chicago Marathon in 3:44:15. However, I could not tell you what my marathon times were for the marathons before or after that significant race. Sadly, I often forget exactly how many marathons I’ve completed so far–was it 14 or 16? And I certainly cannot tell you off the top of my head what my best times were for my shorter races. 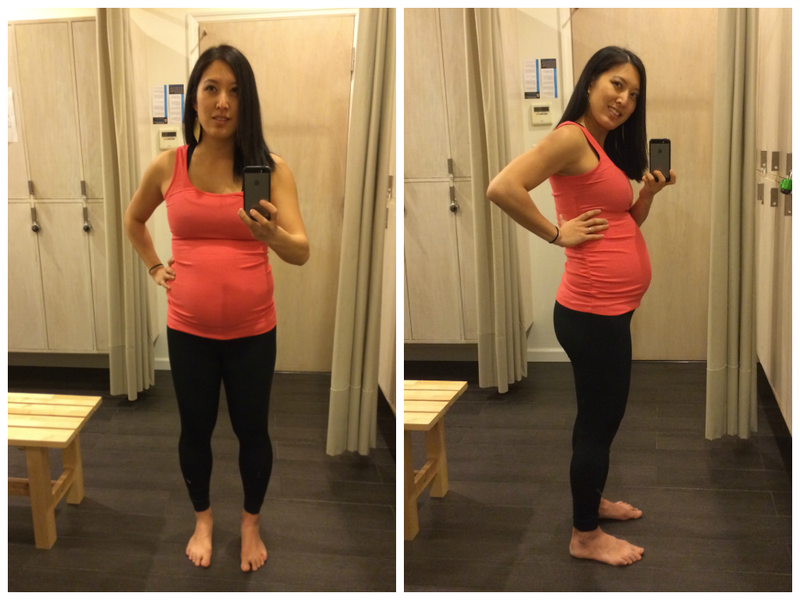 As a pregnant runner, however, it is truly nostalgic to look back at my progress as a runner, perhaps since I now could not care less about my PRs or how to beat them. I only care about how running makes me feel each day–each day is certainly a different day. I am excited about each run I accomplish these days, and each race IS correlated with an event in my life, my pregnancy–even the number of weeks, specifically–and my growing baby. 3/5/06 – First 5K – 27:02 (8:43/mi) – I had not yet met my husband, and worked at financial firm #1 post-college. 5/4/08 – First marathon – 5:25:17 (12:24/mi) – My husband and my 6-month dating anniversary, and we both worked at financial firm #2. 10/9/11 – PR marathon – 3:44:15 (8:33/mi) – 3 months after my husband and I got married, and less than a month before I opened my yoga studio. 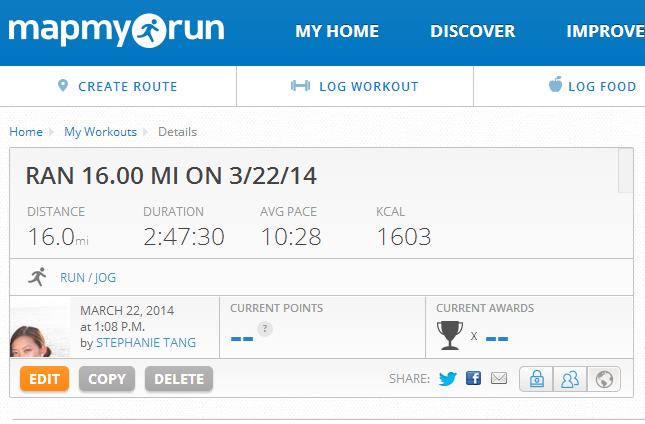 Also, notice that my pace per mile is faster than that for my first 5K!! 11/17/12 – 50-mile ultramarathon – 10:44:14 (12:53/mi) – 5 years after my husband and I got together, and a year after I opened my yoga studio. 8/18/13 – Ironman – 14:03:10, 4:31:36 marathon (10:21/mi) – My husband and I had always planned to start trying to start a family after this bucket list race. 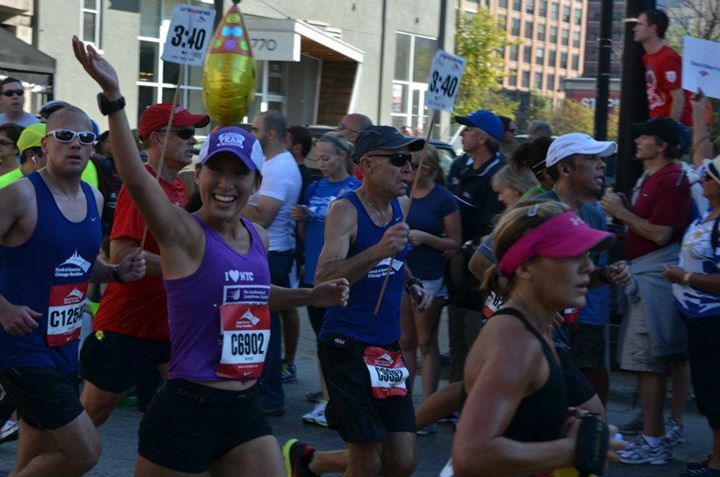 9/7/13 – Most recent marathon – 3:46:20 (8:38/mi) – I got injured during this race, and had to cancel my next two marathons in October and November. It worked out well that we got pregnant in October! *It’s also significant to note that my husband has either volunteered or cheered me on at every one of my marathons, triathlons and ultramarathons I’ve ever completed! I’ll be running the Delaware Marathon in 4.5 weeks at 29 weeks. Although it may rival my first marathon as the slowest one, it will be the most special one yet. It will be my third marathon to benefit The Leukemia & Lymphoma Society’s Team In Training in memory of my late grandmother, my husband’s first marathon ever, and my first running for two. The race will be so much more than just a family affair. Categories: Athlete, Pregnancy | Tags: 5Ks, Endurance Athletes, Family, Husband, Ironman, Leukemia & Lymphoma Society, Love, Marathons, Nostalgia, Personal Records, Pregnancy, PRs, Running, Second Trimester, Team In Training, Triathlons, Ultramarathons | Permalink. Proper pregnancy nutrition and weight gain: What is right for baby and me? I stepped on my scale for my weekly weigh-in last Thursday morning, and was flabbergasted to read that I had gained 5 pounds since the week prior, a total gain of 20 pounds! The scale MUST be wrong, I thought to myself, stepped off quickly, and tried it again. But, alas, the numbers didn’t change. I was especially surprised because I had made sure to return to both my usual habits of eating well all week, a focus of mine since we had just returned from loading up on breads and pastas in Italy for our babymoon as well as my usual marathon training schedule. 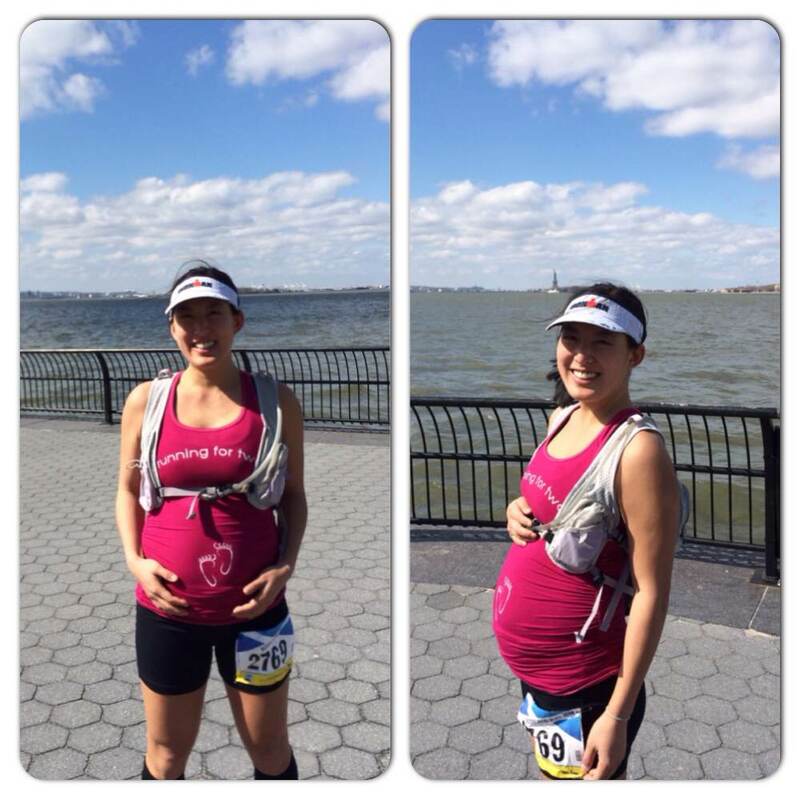 I had even completed my longest long run of the pregnancy, 16 miles, five days prior! 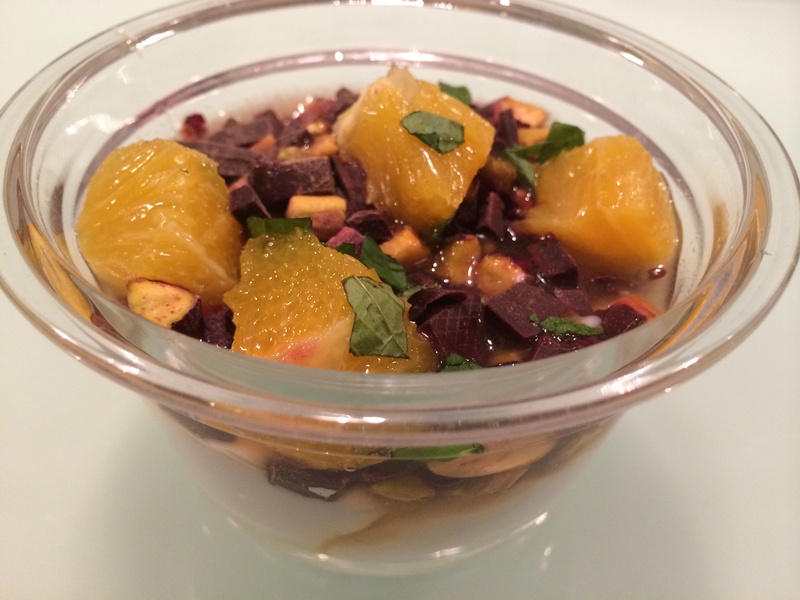 The most important question loomed over my head: What is proper nutrition for me right now? I already knew that I was of normal weight, which means that I should gain a total of 25-35 pounds by the end of the pregnancy. By my last weigh-in, I was up 19 pounds, which translated to a 35-pound weight gain at 40 weeks if I were to gain one pound per week for the remainder of the pregnancy, but gaining any more than that in a week would put me over. What is my conclusion upon analyzing my food log? I believe that I am eating a well-balanced diet, chock full of a variety of fruits and vegetables in addition to healthy fats and protein. Additionally, I am not overeating–on the contrary, I sometimes wonder if I am eating enough, given my active pursuits. Water retention. I recall that I did have fresh ramen noodle soup the night before that weigh-in, which is often loaded with too much salt, I’ll admit. Preeclampsia. Preeclampsia is a pregnancy-related illness that can become life-threatening for both mother and baby, involving high blood pressure (hypertension) in particular. Preeclampsia can limit the baby’s growth and make the mother very ill, including the risk of having fits (convulsions). Gestational diabetes. Higher weight gain puts women at risk of developing gestational diabetes, or it can be a sign that they have developed it. This is a condition in pregnancy where a woman who did not have diabetes before starts to have high levels of a type of sugar (glucose) in her blood. This can cause excessive weight gain in her baby. Nevertheless, considering I visit my OB every three weeks, she will certainly tell me if my weight is a concern. It is much more important to focus on being healthy–and my health is more than my pounds and ounces. A pregnant woman’s job as a baby-grower is to create a nice environment for baby to develop in. So, with that said, eat nutritious foods, skip the junk, and make time to exercise regularly. Categories: Athlete, Pregnancy | Tags: Food Log, Gestational Diabetes, Health, Nutrition, Preeclampsia, Pregnancy, Running, Second Trimester, Water Retention, Weight Fluctuation, Weight Gain | Permalink. Babymoon: Eating, sightseeing and running through Italy! Last October, literally days before I became pregnant, I had booked a surprise vacation to Italy for my husband’s 30th birthday. Little did I know, the vacation was to become our babymoon! Thankfully, the timing couldn’t have been better, during my second trimester! I’ve highlighted the sights, food and runs we experienced below. Note: I made reservations for all of our dinners at least one week in advance unless noted otherwise, and relied on Rick Steves‘ Italy travel guide as well as the internet for all of my research. My husband discovered Rick Steves’ audio guides three days into our trip, and we used them as well during the rest of our trip. I marked parts of our itinerary where we specifically followed parts of either Steves’ travel guide or audio guides with “TG” or “AG”. Sights: Roman Forum, Palantine Hill, Coloseum. We immediately purchased the Roma Pass, which costs €34 each, and expires 3 days after first use. It covers public transportation, comps two major sights, for which you also get to skip the lines, and offers discounts for other sights. As they are the most well known and expensive of the sights listed, we immediately used our pass that day for the Roman Forum, Palantine Hill and Colosseum, which are all considered one sight under the pass. We soon realized that the pass was well worth its cost, as the lines for the sights were really long! Food: Luzzi, Ai Tre Scalini, Giovanni Fassi. Luzzi is a restaurant in walking distance from the Coloseum, and offers a variety of things on its menu including pizza. We had to order pizza on our first day in Italy, naturally! Our pies were pretty tasty, but they were a bit soggy, as if the ovens were hot enough yet, as we had lunch just as the restaurant opened for the day. Ai Tre Scalini was cozy wine bar with the most amazing and affordable dishes! It reminded me of many of the gastropubs we have in NYC minus the high prices and long wait. Giovanni Fassi was a gelateria my husband discovered a block away from our hotel, and offered the best gelato we had in Rome as well as the most affordable in Italy! For €1.60, I had three scoops on a cone, a steal we savored daily! Sights: Vatican Gardens, Vatican Museums, Sistine Chapel, St. Peter’s Basilica, Trevi Fountain, Spanish Steps. I had made reservations for a Vatican Gardens Tour, which cost €32 per person, included entry for the Vatican Museums and Sistine Chapel, and was entirely worth the price. The gardens cover approximately 23 hectares (57 acres), which is most of the Vatican Hill, and there is no general public access to them. The gardens were beautiful, and, through the tour, we learned a lot about the history of the Vatican. We also saw where the the ex-Pope Benedict lives in the gardens. Our tour guide informed us of the short cut for tour groups only into St. Peter’s Basilica, which is free to enter, and our last stop in Vatican City before soaking up the glorious sun in St. Peter’s Square. We strolled to the Trevi Fountain and Spanish Steps after dinner despite my protests from being so tired, as both were near our dinner location. The sights would have been really romantic and beautiful had it not been for the heaps of loud teenagers and vendors, litter and cigarette smoke that could be heard, seen and smelled there. Food: Pizzarium, Al Duello. Pizzarium is in walking distance from Vatican City, and was well-received on the internet as one of the top pizza places to try in Rome, so it was our first stop immediately after our early day in the Vatican. They offer uniquely-flavored, grandma style pizza that you purchase by the kilogram as opposed to the slice or pie. After you inform them of how much you want of each pizza, they even cut them up for you into bite size pieces. Al Duello was a really romantic seafood restaurant with really friendly and attentive service! My husband and I both ordered their gnocchi, mine served with fish, orange zest and cherry tomatoes and his served with shellfish–the gnocchi was perfectly prepared! Run: 5 miles. 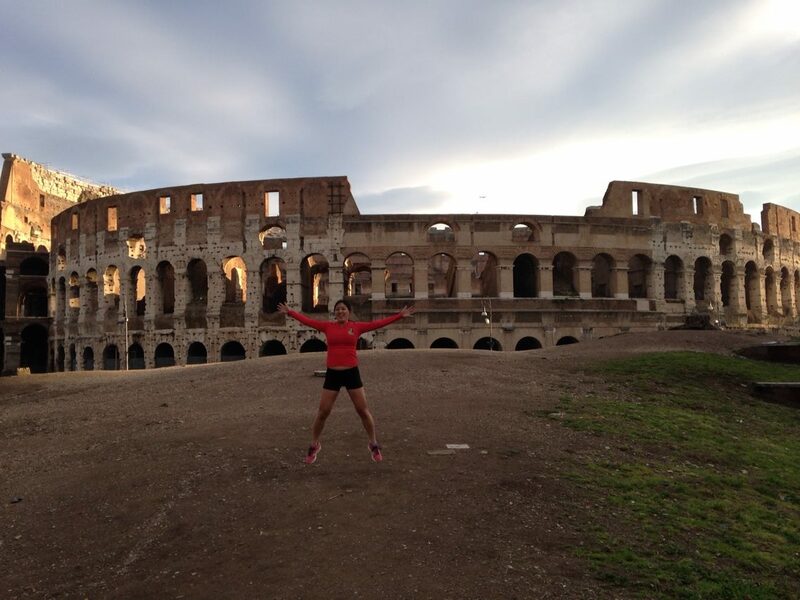 On my husband’s lead, we went for an early morning run around the Roman Forum, Palantine Hill and Coloseum, which were even more magnificent with the sun rising behind them and without the tourists! Sights: Piazza Navona, Pantheon. Exhausted from the first two days in Italy, I opted to sleep in until nearly noon, which would never have happened before the pregnancy, whereas my husband woke up early to go for an 11-mile run. We walked along what was one of my favorite sights in Rome, Piazza Navona, a city square filled with live musicians, artists and vendors and in which the Four Rivers Fountain Gian Lorenzo Bernini stands at the center (TG, “Heart of Rome Walk”, p. 874). Our stroll ended at the infamous Pantheon (AG, Pantheon Tour). Food: Colline Emiliane. Our dinner at Colline Emiliane was our favorite meal of the entire trip! The Bolognese restaurant is well-recognized by locals and travelers alike for its hand made pasta. My husband ordered the linguine with prosciutto and pumpkin ravioli, and I ordered the soup dumplings and fettuccine Bolognese. The pasta was light, delicate and perfectly prepared and the flavors were well-balanced. 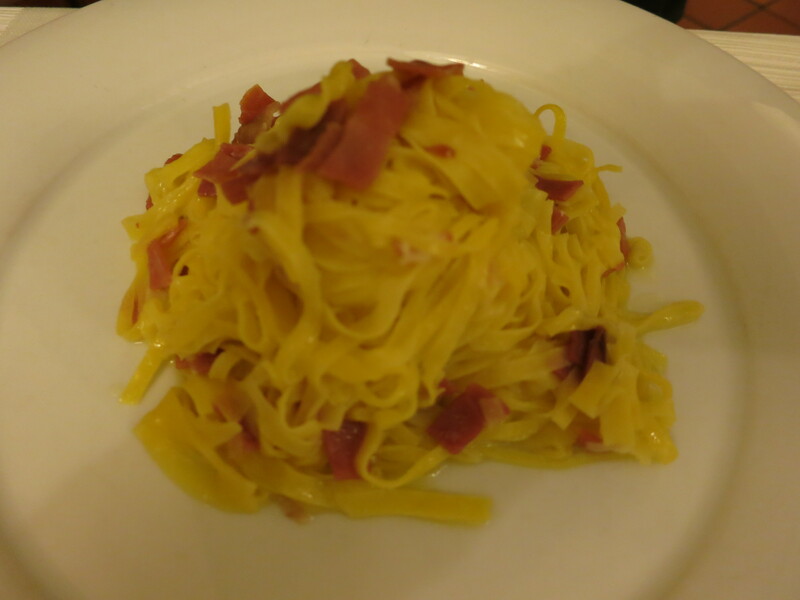 It was THE BEST pasta we had ever had in our entire lives, on a level above Babbo in NYC. The prices were reasonable, and we even considered ordering another pasta dish to share, but realized we would be over stuffing ourselves, which may diminish the dining experience. Sights: Mount Vesuvius, Pompeii. I distinctly remembered my trip to Mount Vesuvius, an active volcano, and Pompeii, a city that was destroyed and buried in ash after Mount Vesuvius erupted in 79 AD, as one of the highlights of my trip to Italy when I was seventeen. 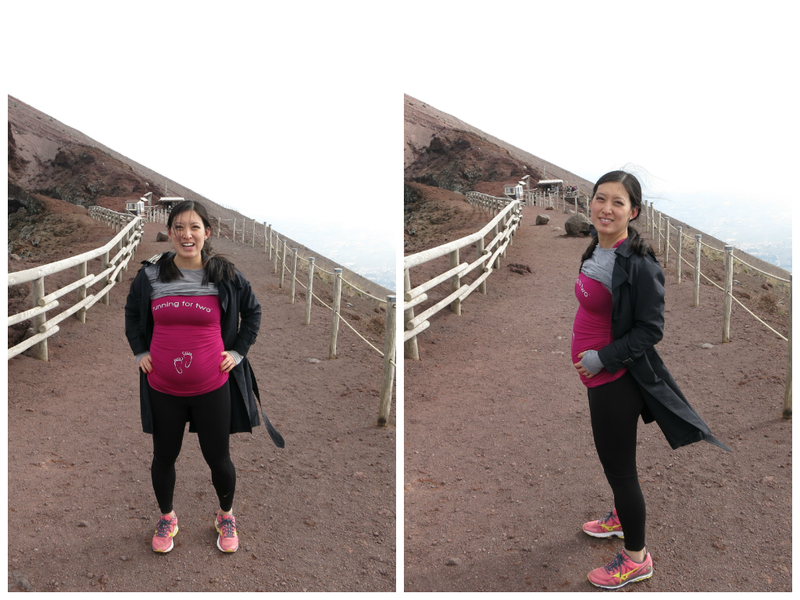 Just in case, I did a bit of research online to ensure that hiking Mount Vesuvius would be safe in both altitude and steepness for pregnant women–thankfully, it was! I booked a train to and from Naples from Rome a few weeks before our trip. From Naples, we took the Circumvesuviana train to Pompeii Scavi, and hired a local cab driver to drive us to and from Mount Vesuvius, along with a few other tourists. We knew that it was still off-peak season, and a cab was our best bet to get to the volcano. 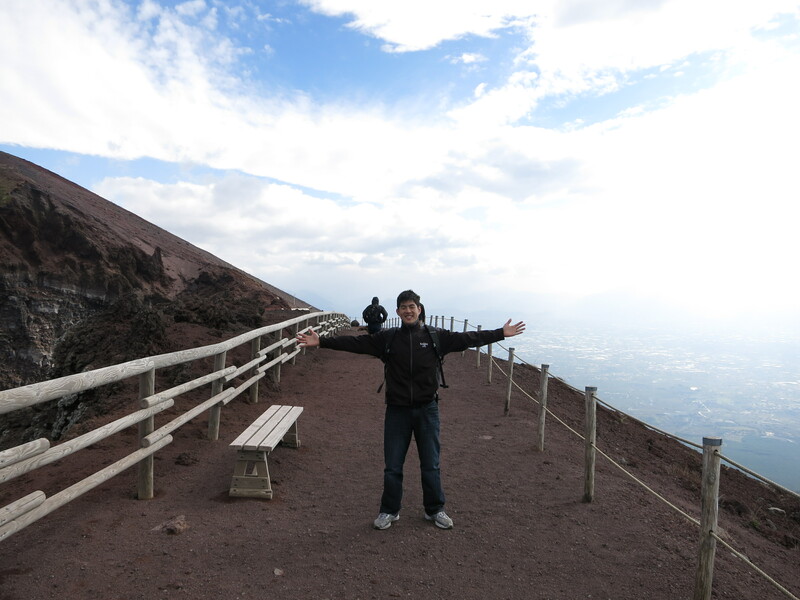 The skies were relatively clear, but the base of the volcano was certainly cooler and windy. We hiked up to the top in about a half hour, stopping often to take photos along the entire way. The views were breathtaking, as the center of the steamy volcano could be clearly seen on one side and the Bay of Naples on the other. After a lovely lunch at a sunny outdoor cafe, we spent the afternoon exploring and learning about Pompeii (AG, “Pompeii Tour”). Food: Pizzeria D’Angeli, Mamma Angela’s Trattoria. Since we had to make a connection in Naples to return to Rome, we decided to explore the city by foot. We quickly realized that it’s a seedy city, one in which I wouldn’t feel comfortable wandering solo, but, as Naples is the birthplace of pizza, we had to have a second lunch there! Unfortunately, it was a Sunday, and the famous pizzerias were closed for the day, but the margherita pie we shared at Pizzeria D’Angeli was delicious, and my favorite pizza that we tried in Italy! I planned dinner at Mamma Angela’s Trattoria knowing that the restaurant was next to the train station in Rome, as we’d be exhausted after a long day. We were served prosecco upon entry, which we both only took a sip of, the portion sizes were “American” and they had great service, all-in-all, it was a great pick for food to fill you up after a long day. Sight: Basilica di Santa Maria del Fiore. The Basilica di Santa Maria del Fior, or Il Duomo del Firenze, as it is ordinarily called, is one of the the most breathtaking sights that we saw during our trip. Construction for the Duomo started in 1296 in the Gothic style to the design of Arnolfo di Cambio, before the technology for the dome was even discovered, and was completed structurally in 1436, with the dome engineered by Filippo Brunelleschi. We entered the basilica, which is free, and purchased tickets to visit the small museum in its basement and climb the dome, which costs €10 per person. A narrow set of stairs, for which visitors used to go up and down, circled up to the top of the dome. 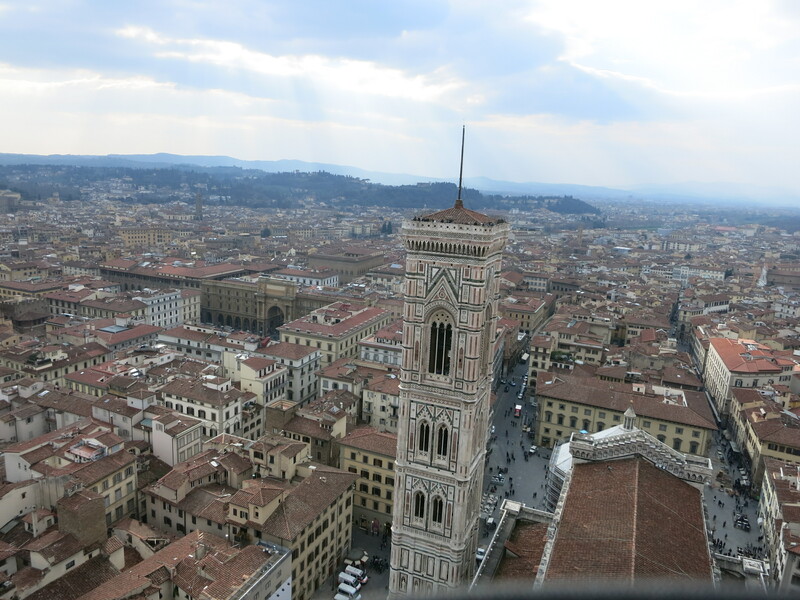 The climb was tight, crowded and took nearly a half hour–it was mostly Americans making the climb, and we joked that it must only be the Americans who are crazy enough to do so–but the panoramic views of Florence and the Tuscan hills that surrounded the city were worth the efforts! We spent the rest of the afternoon exploring the pedestrian-friendly city by foot (AG, “Renaissance Walk”), and taking photos along the Ponte Vecchio at sunset. Food: Trattoria Da Mario, Trattoria Sostanza, Grom. I had read a lot of positive reviews about Trattoria Da Mario prior to the trip, a small family-owned restaurant that is only open for lunch, was uber excited about the experience. Sadly, the experience missed our expectations. After a 20-minute wait at 2pm, after which we were slotted into a tiny table with another couple, we tried their Tuscan white bean soup, I ordered their pasta ragu and my husband had their Florentine steak. We found their food to be salty and my husband noted that the steak was chewy and not very flavorful. Dinner at Trattoria Sostanza, a well-received steakhouse, also left us underwhelmed. 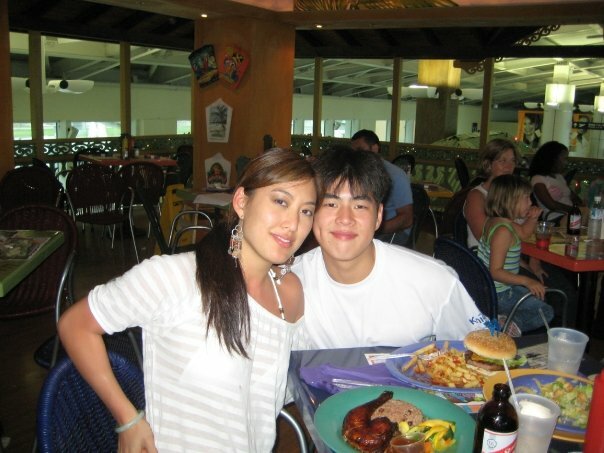 Even worse, both meals were significantly more expensive than the ones we had in Rome. The highlight of the day as our gelato at Grom! Florence is the birthplace of gelato, and Grom represented its city well, as our second favorite gelato experience of the entire trip! Run: 6 miles. My husband having completed a long run a few days prior through Rome selected a part of his run to share with me before we left on our train to Florence that morning. We ran through the Villa Borghese Gardens, a landscape garden in the naturalistic English manner in Rome and the third largest public park in Rome. Having struggled with running (and sightseeing) through clouds of cigarette smoke until then, the runner friendly, smoke-free, green setting was a welcome change. If we had time for another run in Rome, I’d revisit the Villa Borghese Gardens! Sights: Uffizi Gallery, Accademia. Having read about the insanely long lines at the Uffizi Gallery and Accademia, I booked reservations for both weeks before our trip, which may have cost a bit more but was well worth the price. Uffizi is one of the oldest and most famous art museums of the Western world, and where one can view the famous paintings of Giotto, Boticelli and Leonardo di Vinci (AG, “Uffizi Gallery Tour”). The Accademia was built for Michelangelo’s David (AG, “Accademia & Michelangelo’s David”). Food: Mercato Nuovo, Osteria Vini e Vecchi Sapori, Edoardo. We bought sandwiches and dried pears for lunch at Mercato Nuovo, a large market teeming all kinds of tasty treats, from fresh pasta to limoncello to cheeses to fresh meats. My husband also tried a tripe sandwich at a street stall, as tripe is a Florentine specialty, but he paid for the street food, and suffered from diarrhea for the next two days. 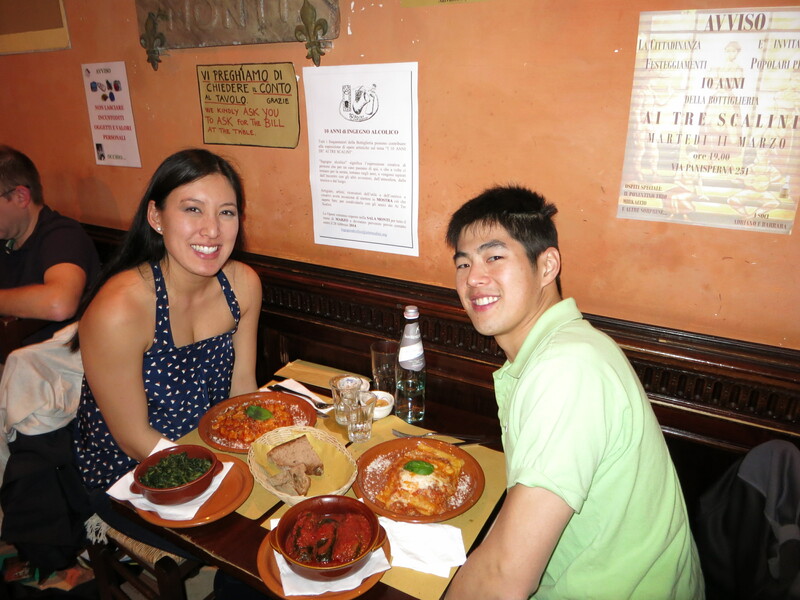 Our dinner at Osteria Vini e Vecchi Sapori was our favorite meal in Florence, as it’s a a restaurant that offers great pasta and friendly service! Edoardo was another favorite of ours, our favorite gelato! They hand made waffle cones in front of patrons, and the gelato was rich and creamy. Run: 6 miles. 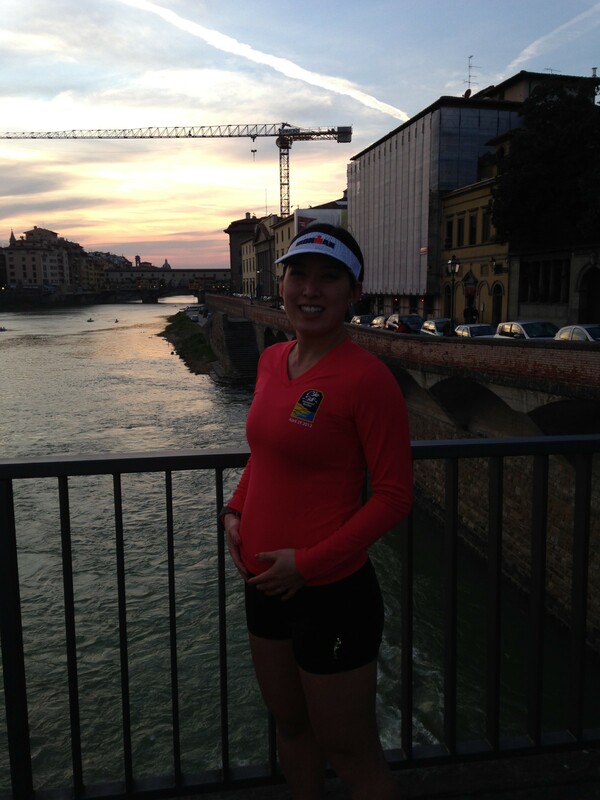 We really enjoyed a sunset run before dinner along the Arno River and in the Cascine Park! Sights: Siena, Chianti, San Gimignano, Pisa. After finding out that the only place we could rent a car in Florence as at the airport, and many of the small towns we wanted to visit restricted non-residential parking to outside of the towns’ perimeter, we decided to book Walk About Florence’s “Best of Tuscany Tour.” The guided tour, which cost €90 per person, included a guided morning tour of Siena, lunch at a vineyard in Chianti, of which 95% of the foods and wines we ate were produced at the vineyard, a visit to San Gimignano, which boasts a 4-year gelato world champion and Pisa, where we took plenty of creative photos of the Leaning Tower of Pisa under the setting sun. The day was my favorite part of the Florentine leg of our trip! If I were to return to Italy, I’d want to stay in a small Tuscan town for an extended period of time. Food: Fattoria Pogio Alloro, Gelateria Dondoli, Trattoria da Georgio. At Fattoria Pogio Alloro, the vineyard where we had lunch in Chianti, they prepared beef ragu from their grass-fed cows, paired it with their hand made wheat penne, served prosciutto, cheeses and greens from their cows and garden, served plenty of their own extra virgin olive oil and wines, and ended the meal with almond cantucci dipped in a dessert liqueur. My husband and I only had a sip of each wine, and I would love to revisit again to truly indulge post-partum! 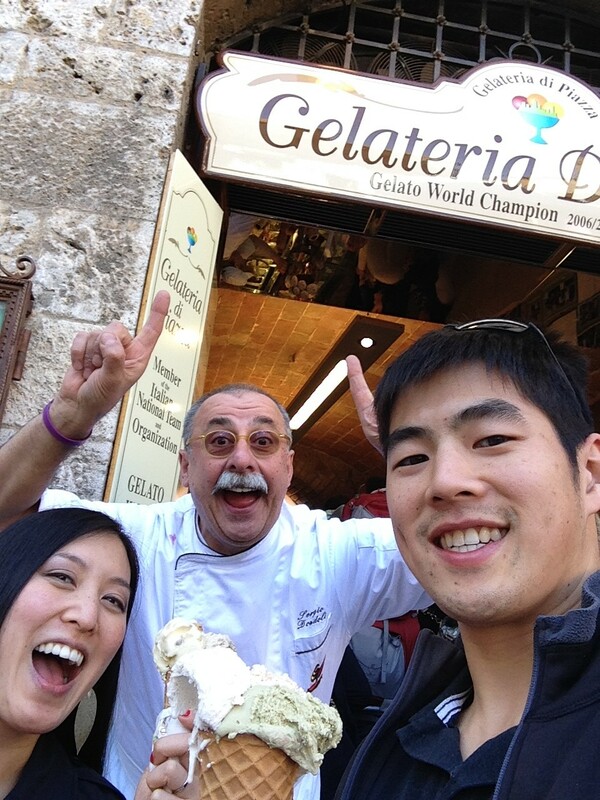 Gelateria Dondoli in San Gimignano was recognized as gelato world champion in 2006-2009. I really enjoyed their saffron and nociola flavors, and loved that owner of the shop stood outside to take photos with all the patrons and their scoops of gelato. We returned to Florence just in time for dinner, and had read positive reviews about Trattoria da Georgia, a no-reservations restaurant near our hotel. The trattoria was the worst meal of our trip, so terrible that I won’t go into what we ate. Sights: Grand Canal, St. Mark’s Basilica, Piazza San Marco. We arrived in Venice by train, checked into our hotel, and immediately the Vaporetto, which is Venice’s public ferry, and costs €7 for an hour access. 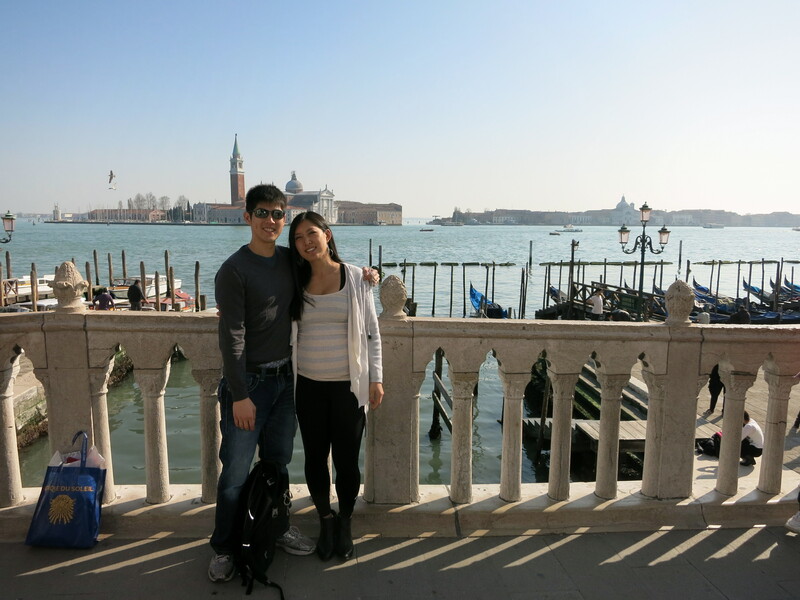 We loved following Rick Steves’ “The Grand Canal Cruise” (AG) along the ride to Piazza San Marco. Once we docked, we visited St. Mark’s Basilica, which is free, walked around the piazza and shopped for glass-blown goods. Food: Osteria Ai Artisti. This was our favorite meal in Venice. We enjoyed all the seafood delights that Venice had to offer–seafood antipasti, fritto misto, and hand made pasta with shellfish in white wine sauce! The restaurant is charming and cozy, but we had plenty of space away from the conversations at other tables, which was uncommon on our trip. Run: 5 miles. Before boarding the train to Venice, we had a time to go on another run along the Arno River one last time. Sights: Rialto Market, Rialto Bridge, Murano, Burano. We spent the morning running, showered, and then took the Vaporetto to visit the Rialto Market and Rialto Bridge. After a quick bite, we hopped back on the ferry to spend the afternoon exploring the islands of Murano, famous for its glass blowing factories, and Burano, known for its colorful houses and lace shops. Food: Osteria alla Testiere. I had anticipated dinner at Osteria alla Testiere, a small 1-Michelin starred seafood restaurant that is difficult to make reservations for, for the entire trip, but was sadly disappointed. The service was lacking, they mixed up our dishes, and the dishes were either overcooked or forgettable. 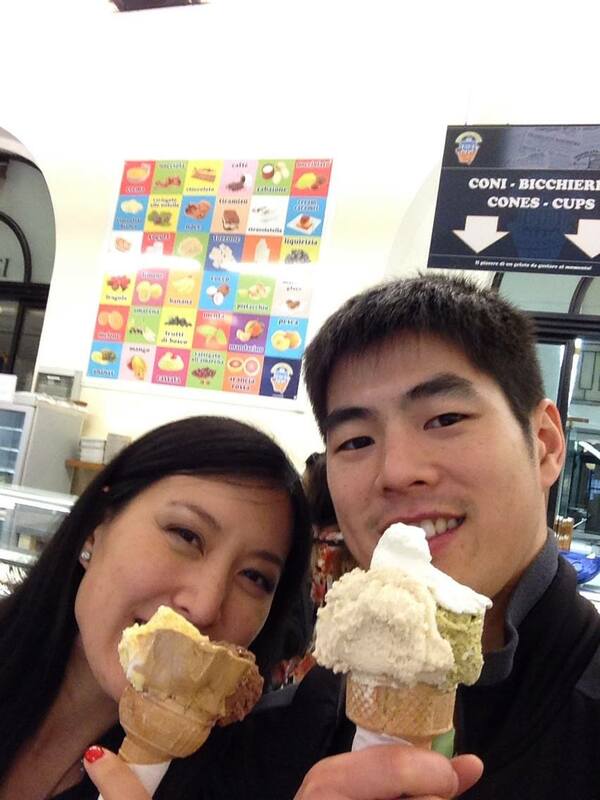 Thankfully, the gelato we had near our hotel afterward made a lasting impression as the last food we had in Italy. Run: 5 miles. 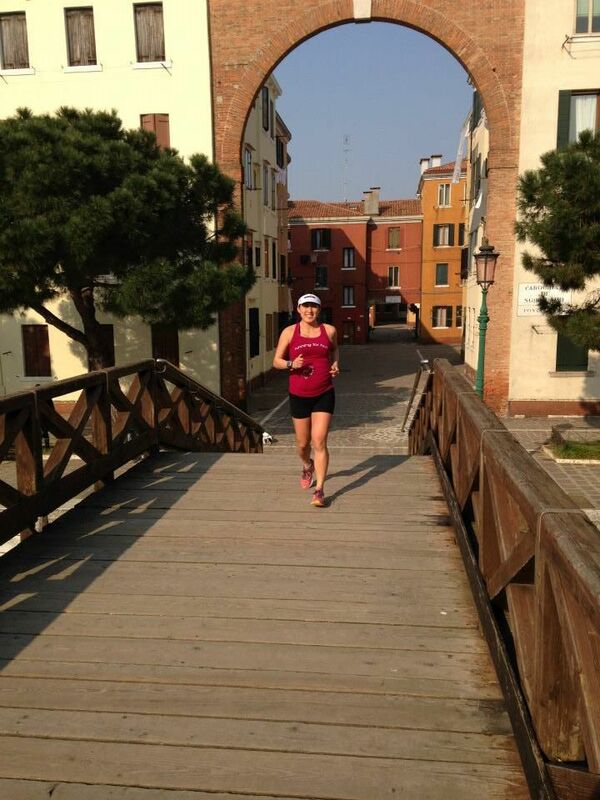 My husband and I started our runs together, but parted ways at mile 3, when continued to run around Venice for 15 miles total, and I turned around back toward our hotel. Venice is comprised of 118 small islands separated by canals and linked by bridges, and is the most confusing place I’ve ever run. I truly thought I’d get lost on the run! Thankfully, our hotel was near the Ferrovia station, which is the main station for the Vaporetto, and I was able to find and follow signs back to the hotel. Categories: Athlete, Pregnancy | Tags: Babymoon, Chianti, Florence, Gelato, Italy, Mount Vesuvius, Naples, Pasta, Pisa, Pizza, Pompeii, Rome, Running, San Gimignano, Second Trimester, Siena, Tuscany, Venice, Yoga | Permalink. Bon Giorno! Babymooning from Italy! Bon Giorno from Roma! I had booked a surprise 30th birthday vacation for my husband last October before we were pregnant. Who would’ve thought then that the trip would also become our babymoon? Thankfully, it worked out well that we’re on travel during my second trimester! Surprisingly, walking has been quite challenging–perhaps the extra weight on my feet for long periods is the issue–but running has still been great, though I’m much slower than I used to be pre-pregnancy already. I’ll likely continue the weight gain on the trip given the copious amounts of pasta, pizza and gelato my husband and I have been eating. Aside from not being able to drink wine, I can’t imagine a more perfect place to spend our babymoon! And the running sights will be beautiful. 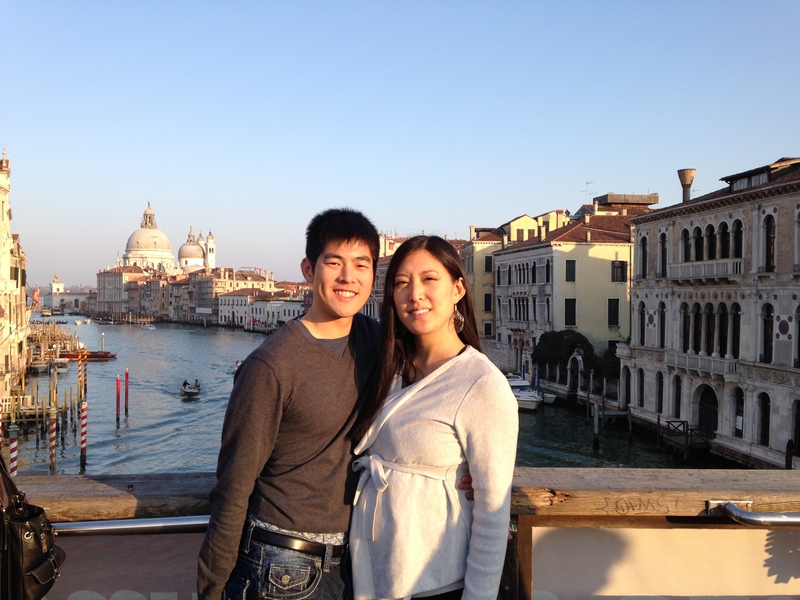 More details on our trip to Rome, Florence and Venice when we return to stateside in a week! Categories: Athlete, Pregnancy | Tags: Babymoon, Coloseum, Gelato, Italy, Palantine Hill, Pregnancy, Roman Forum, Rome, Running, Second Trimester | Permalink. Comparing the first and second trimesters. It’s amazing that what people often say about the second trimester rings true–your energy level does return! As I detailed in my entry at Week 13, I found the fatigue I struggled with during the first few months of the pregnancy to be crippling. The fog finally dissipated last week, and it has made a whirlwind of a difference in my abilities to handle work, training and even hanging out with friends. Biking. 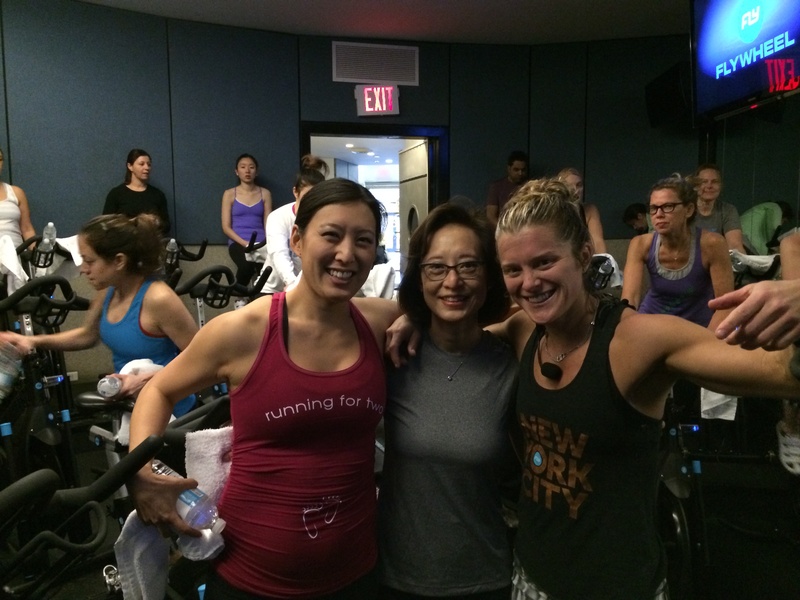 Although I stopped biking outside as soon as I found out I was pregnant, I continued to spin weekly with my favorite spin instructor, Holly Rilinger, at Flywheel Sports. Just before getting pregnant, the Total Power, or measure of my speed and resistance, during my spin classes averaged 310, placing me near the top percentile for the region. During the first trimester, the reading dropped down to 260, but has since bounced back to 300. I am still listening to my body–I simply have more energy to expend. I was especially excited this past Monday as I convinced my mom to come to class after her doctor suggested that she start participating in cardiovascular activity! It was her first spin class, and, in fact, the first class she’d taken where she “actually sweat,” as she informed me afterward. She enjoyed it so much that she plans to join me every week, and I was excited by the notion that we had three generations of women in my family in class that day: Grandma, baby and me! Running. I’ve be able to stick to my training schedule for the Delaware Marathon on May 11th. However, up until a week ago, I suffered from debilitating migraines after my weekend long runs. I had never had migraines prior to becoming pregnant, and needed to nap for at least two hours after each long run, which helped a bit, but never made the headaches go away. Though I did monitor my fluid and fuel intake a bit better, drinking water every 20 minutes and eating every 50 minutes, I didn’t get a migraine after this Sunday’s 14 mile run, a first in months! I can only chalk it up to the hormonal changes my body underwent during the first trimester, but the true test will be whether or not the migraines return this weekend. Swimming. Swimming was always my least favorite of the triathlon disciplines only because I dislike indoor swimming, and despise the smell of chlorine. Considering the freezing temperatures we’ve been dealing with in New York City, the last I wanted to do was to go swimming and freeze afterward. I’ll likely pick up swimming again when the weather warms, and my husband have ability to swim in the open water somewhere again. Yoga. I was able to continue to take regular yoga classes during my first trimester and modify certain poses for myself, although I likely often confused other students when they noticed I was twisting in the opposite direction than they were or taking bridge pose instead of following the core sequence our teacher was teaching us. Since Week 14, I’ve transitioned from regular classes to prenatal yoga entirely. I love that I am able to learn techniques from my teacher Caprice Abowitt that I’ll be able to apply during child birth, connect with other moms-to-be and practice yoga in a safe and nurturing environment suited to our baby and me. 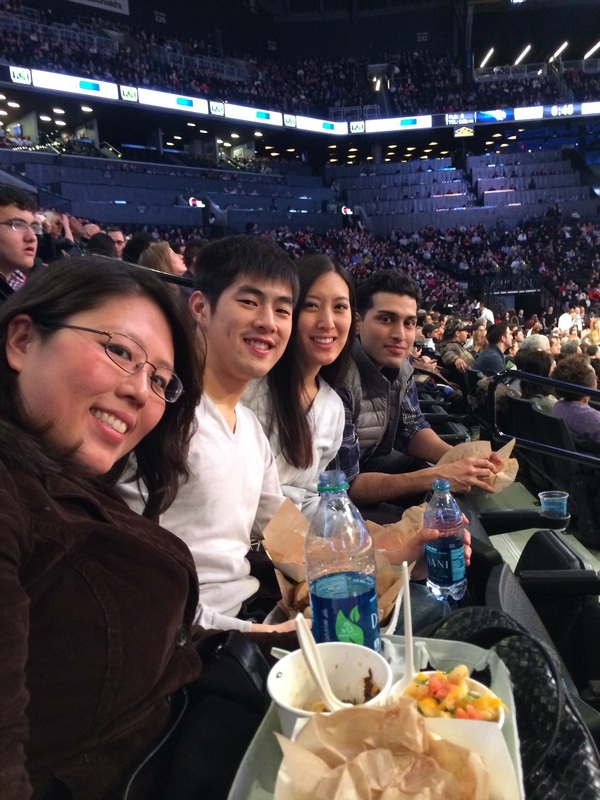 Categories: Athlete, Pregnancy | Tags: Biking, Brooklyn Nets Game, Caprice Abowitt, First Trimester, Flywheel Sports, Holly Rilinger, Marathons, Mom, Pregnancy, Running, Second Trimester, Swimming, Triathlons, Yoga | Permalink. The story of Quinn River’s birth: A natural, unmedicated second-time mother’s story. First moments: A snapshot of Keira’s life. The story of Keira Sage’s birth: A natural, unmedicated, first-time mother’s story.